If you've been following The Fashion Barbie for a while, you are well aware of the fact that I am absolutely obsessed with J. Crew and Jenna Lyons. The preppy-chic brand has been my go-to for relaxed button-down shirts, bold accessories, and elevated tees for years. But lately I've found myself less and less impressed with the Crew's in-store offerings and turning, instead, to the more youthful sister-store Madewell, with which I am also obsessed. It seems I'm not the only one who is feeling uninspired with J. Crew as of late, because the company just announced some major changes this week. The basics of J. Crew's news? In the face of a poor quarter and declining sales, J. Crew fired 175 employees and is bringing Madewell designer Somsack Sikhounmuong in as J. Crew's new head women's designer. So why has J. Crew been struggling? Essentially what it comes down to is a decline in the quality of garments coupled with a rise in prices. If you frequent J. Crew I'm sure you've noticed over the past few years that prices have risen, but that hasn't necessarily led to an increase in design quality. Customers have complained about the sweaters in particular, which are staples of J. Crew. Others have taken issue with the boxiness of many of the clothes and the lack of exciting options. More than anything, though, I think J. Crew is struggling with an identity crisis. 2015 has not been a good year for the mid-point fashion retailer thus far, and J. Crew seems to be having the same problem: how does a brand remain relevant when it's more expensive than truly affordable companies and fast-fashion brands but not expensive enough to be considered a designer/luxury brand? What does J. Crew offer that makes purchasing a sweater there better than buying a similar style at a lesser price point at the Gap or a higher-quality version at Barneys? As of now, consumers are deciding that J. Crew sweaters aren't worth it and taking their business elsewhere. Frankly, the designs at J. Crew are kind of boring. Sure, J. Crew is where I go to for fashion staples rather than stand-out pieces, but that doesn't mean that everything has to be so simple and uninspired. Otherwise, what's to keep shoppers from going to the Gap or Banana Republic for their classic basics? One of the things that I've always enjoyed about J. 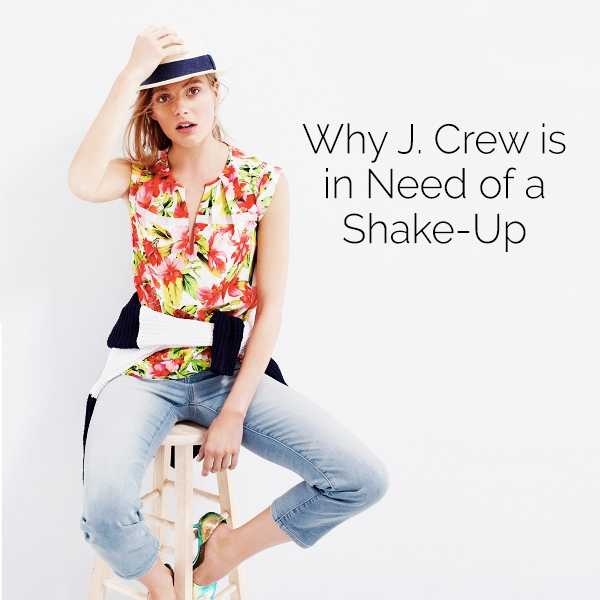 Crew is that, in addition to chambray shirts and classic cardigans, they've offered fun prints and bold colors to keep outfits fresh and fun. That unique styling has been absent lately, save for the higher-priced J. Crew Collection line, which is too pricy for most of J. Crew's actual customers. J. 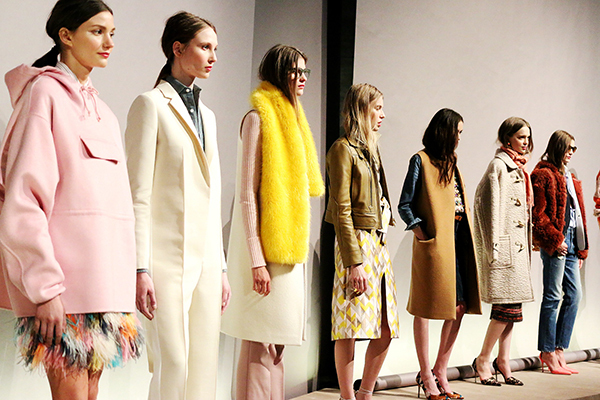 Crew Collection, which shows at New York Fashion Week and retails at a higher price point, has been a great way for J. Crew to try and grab the contemporary designer customer, and the designs are exciting and bold always. However, the Collection clothes seem to be the only J. Crew items where thought is actually put into the aesthetic quality of the clothes. I find myself fawning over the NYFW presentations every season and then stifling sniffles upon seeing the high prices of the Collection clothes. Why do the good clothes have to be expensive, and the affordable clothes have to be boring? Like the taco girl suggests, why can't we have both good design and affordability? Is it really too much to ask for? If J. Crew focused on its actual clothes as much as it did the Collection line, I think they could really turn sales around. Today's clothing customer wants creativity and intrigue but they also want quality and affordability. There's a way to offer all of these things, J. Crew just needs to figure out how to fit all the pieces together. Sikhounmuong stepping up as the new head womenswear designer should help. He's made Madewell highly successful and fashionable (frankly, I've been shopping at Madewell more than J. Crew lately, and I love the urban edge with hints of Parisian style and California cool; it just feels a bit more modern and wearable) and I think he could help a lot with making J. Crew feel relevant again. 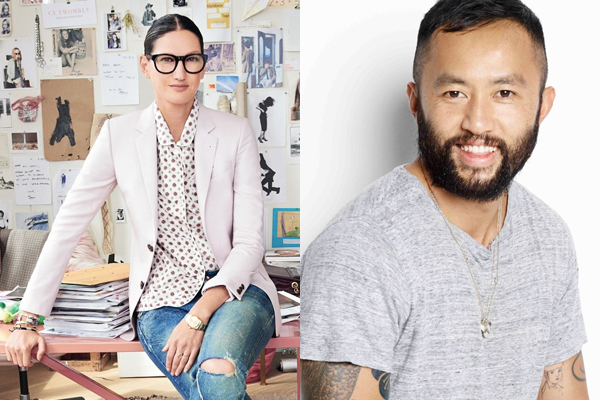 Jenna Lyons transformed the company when she came in in 2008; maybe Sikhounmuong will bring about a second wave of revitalization. What do you think about J. Crew's recent news? Do you think the brand needs a shake-up? I totally agree with you! But Jenna Lyons is totally so cool! Thanks, Nadia! And yes, Jenna Lyons is one of my style icons. She is fab.